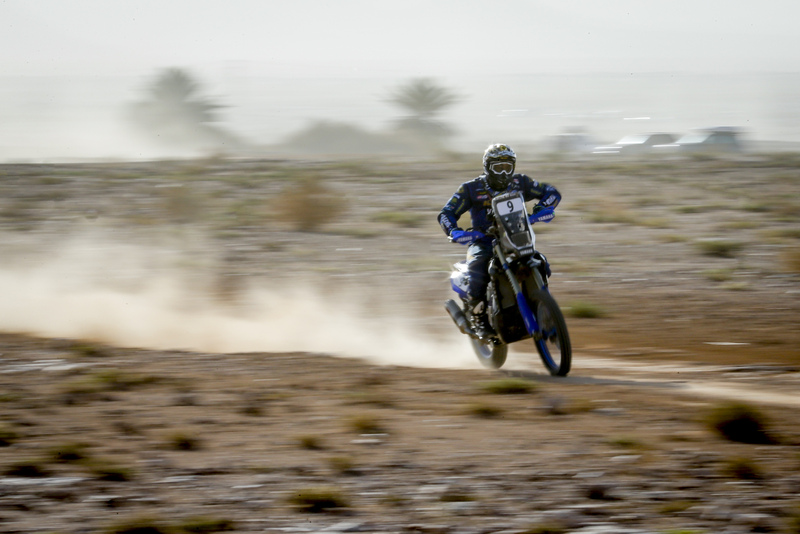 The Yamalube Yamaha Official Rally Team have completed a successful final test before the upcoming Dakar Rally at this year’s Morocco Rally. With Adrien Van Beveren collecting a solid sixth place result in the final standings and Xavier de Soultrait showing improved pace throughout the event in Africa, the team are now ready to enter the final part of their preparations ahead of next January’s Dakar. Playing host to the final round of the 2018 FIM Cross-Country Rallies World Championship, the 2018 Morocco Rally saw the elite of international rally racers battle for success for six consecutive days on widely varied terrain. From enduro-styled technical sections to fast gravel tracks and sandy dunes, this year’s Morocco Rally was a true challenge for men and machines. Improving his race pace as the rally progressed, Adrien Van Beveren was in a position to be fighting for the top-three in the closing stages of the rally. With his best individual stage coming on the penultimate day, Adrien collected a strong fourth place result on stage four. Battling through the rally’s challenging navigation, Xavier de Soultrait was placed as high as sixth overall before the event’s penultimate stage. Suffering a small technical issue on the final stage, the Frenchman was unable to finish the rally. Seeing his recent hard work pay off, Franco Caimi went head-to-head with the event frontrunners during this year’s Morocco Rally. Fighting for the top-three in the overall standings, Franco was frustratingly forced to abandon the race following a crash on stage four. Sustaining a fracture to his right femur, he will be operated on in the coming days, in Barcelona, Spain. Collecting valuable feedback from their week-long adventure in Morocco, the Yamalube Yamaha Official Rally Team will continue working hard with the ultimate goal to return even stronger to the upcoming Dakar Rally, which takes place in Peru on January 6-17, 2019.